We offer private and small-group (up to 3 students) lessons on all apparatuses. Whether you are a well-seasoned performer or have little to no experience, this is a great way to expand your skills or to try out aerials for the first time. Private lesson prices range from $45-$85 per hour. Please contact us to schedule a private lesson with one of our instructors. 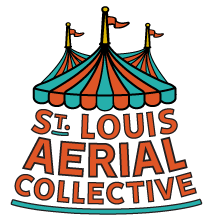 Copyright © St. Louis Aerial Collective, LLC. All Rights Reserved.